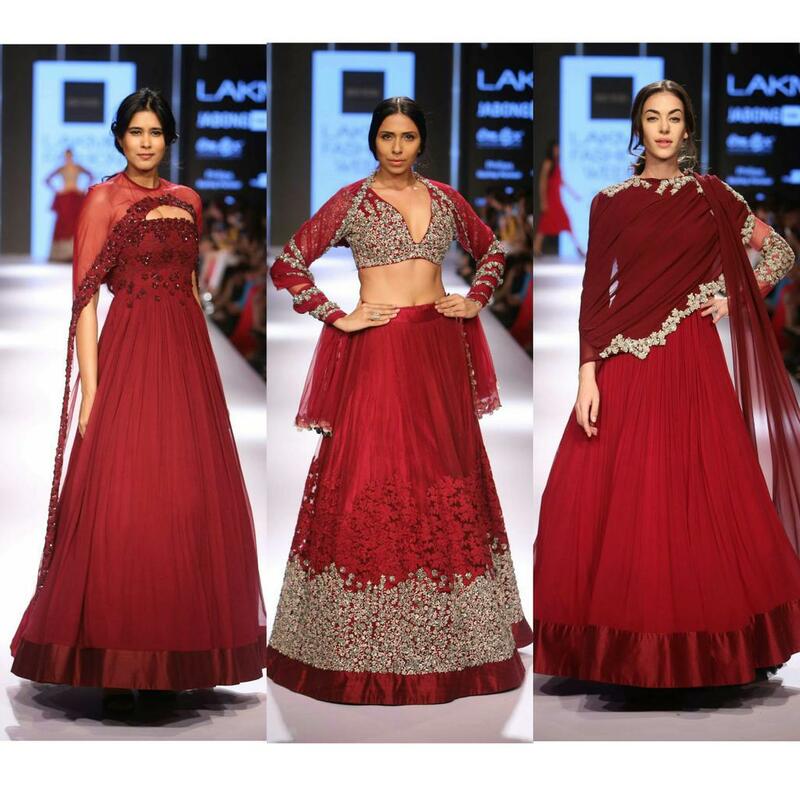 Neeta Lulla ofcourse no introduction in the bridal designer world and her show on Lakme Fashion week was a contemporary brides delight. 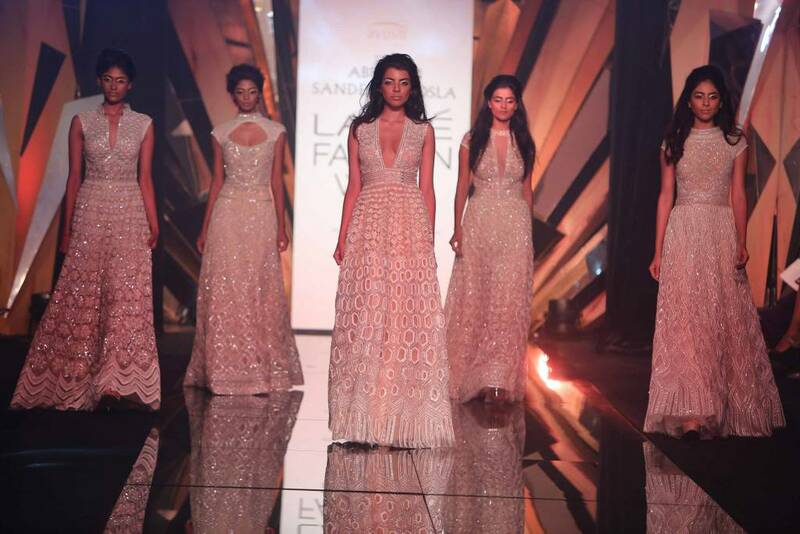 There was lace, subtle bling, chiffon, colour play and off beat cuts. I personally totally loved this collection and iam actually feeling truly inspired with a collection after a long time. 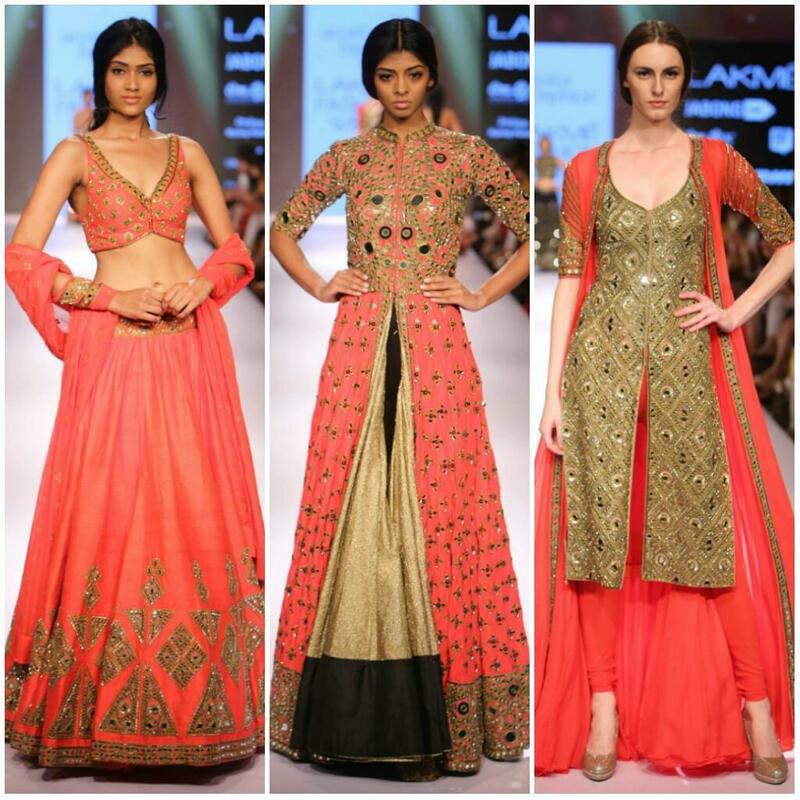 This collection has something for every kind of a bride so sit back and feast your eyes. Lets start with my favourite from the collection . 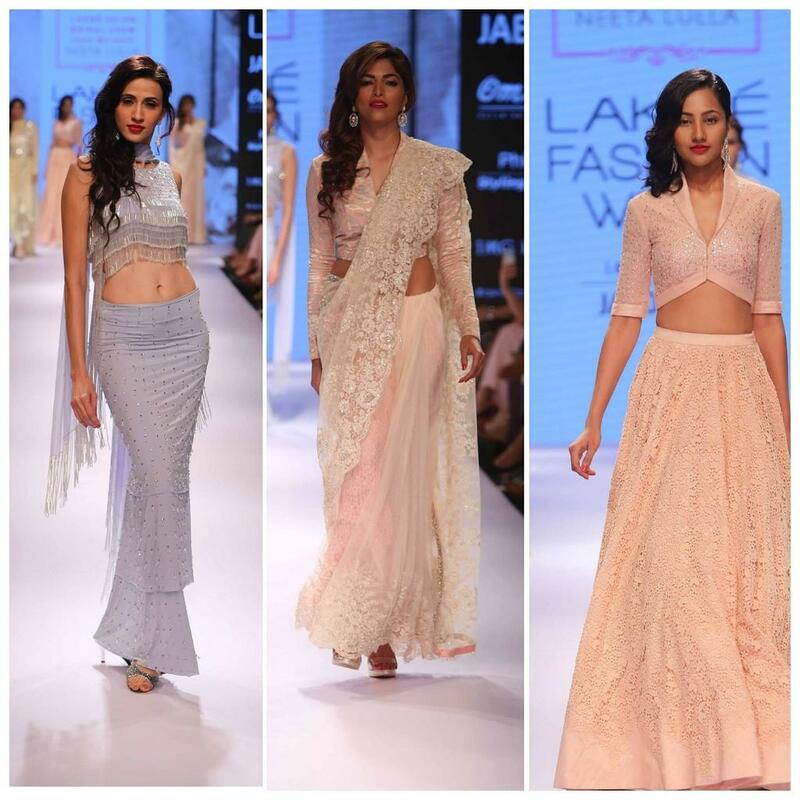 I loved this pastel saree, the embroidery and the lace pallu. The blouse was refreshing and elegant, more love for that. contemporary twitst to the blouse with floor length sleeves and zipped up front. Love this simple lehenga with laser cut kind of fabric and sequined blouse. Tamannah Bhatia closed the show. 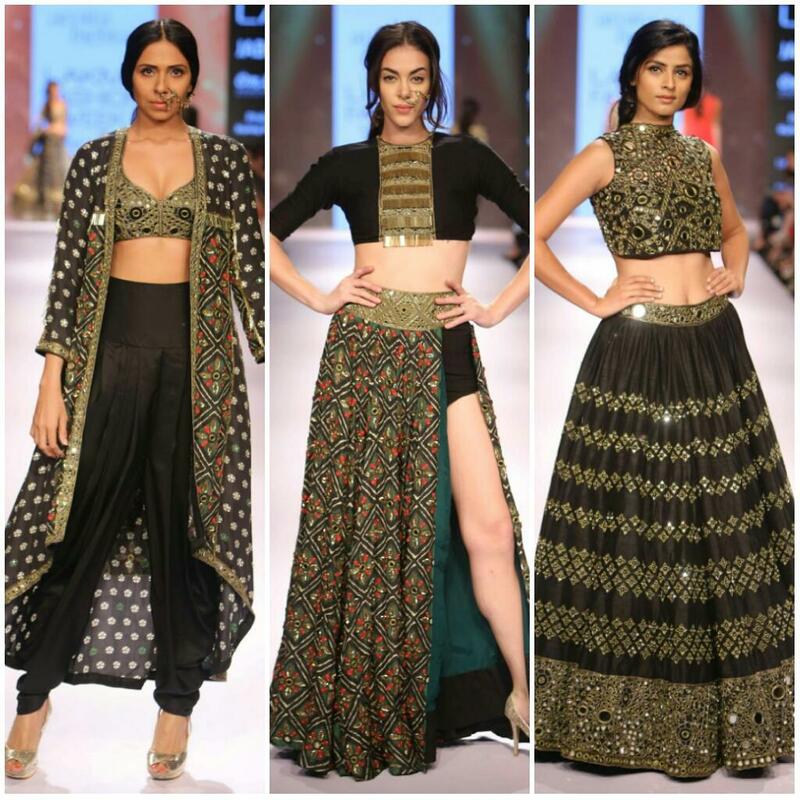 This collection had inspiration for every kind of bride for almost every bridal ceremony from mehendi to cocktail to reception . Did you like the creations?